These are the winners of our previous Monthly Guitar Gear Giveaways. Note: after each monthly contest period ends, it may take a few weeks to verify the winner(s) and update this page. Please check back periodically for the latest news on who won. 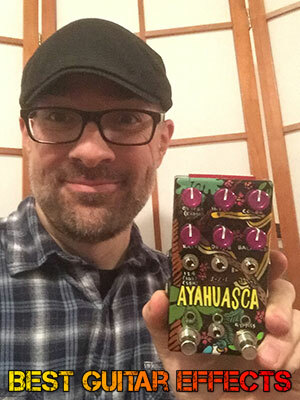 Congrats to Bryce H. who won the Jungle Ayahuasca pedal! Thanks for the photo! WINNER: Dave A. from Kensington, CA. Congrats to Dave A. who won the Cielo Ayahuasca pedal! Thanks for the photo! Congratulations to Rob. M who won the Shipibo Ayahuasca Pedal! Congratulations to Simen A. who won the very first Chase Bliss Audio Tonal Recall pedal. Congratulations to Jürgen L who won Menatone’s The King.! All hail Jürgen! 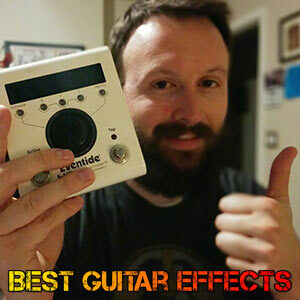 Congratulations to Ryan S. who won the Eventide H9 Max! Thanks for the awesome photo, and enjoy your journey down the effects rabbit hole! Congrats to Steph M. who won the Strymon TimeLine! Enjoy the unexpectedly wonderful delays ahead! Check out schmef on Soundcloud! Congrats to David G. who won the Strymon DIG! Hope you dig it! 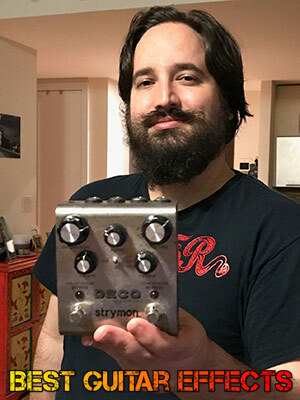 Congratulations to Alec H. who won the Strymon Deco! The ultimate tape machine is yours! Check out Ghostbound on Bandcamp! Congrats to David L. who scored the Chase Bliss Audio Spectre! Thanks for the mysterious photo! May the sp3ct3rs guide you! Congrats to Cole DT. who won the Chase Bliss Audio Warped Vinyl MKII! Enjoy those sweet vintage tones! Congrats to Adam S. who won the Dr. Scientist The Elements (nature). May it help you on your alchemical journey! Congratulations to Javier R. won the Xotic Effects RC Booster. Enjoy the sweet tones of this pedal! 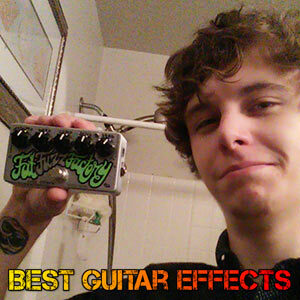 Congrats to Sean R. who scored a ZVex Fat Fuzz Factory. Thanks for sending the rad photo! 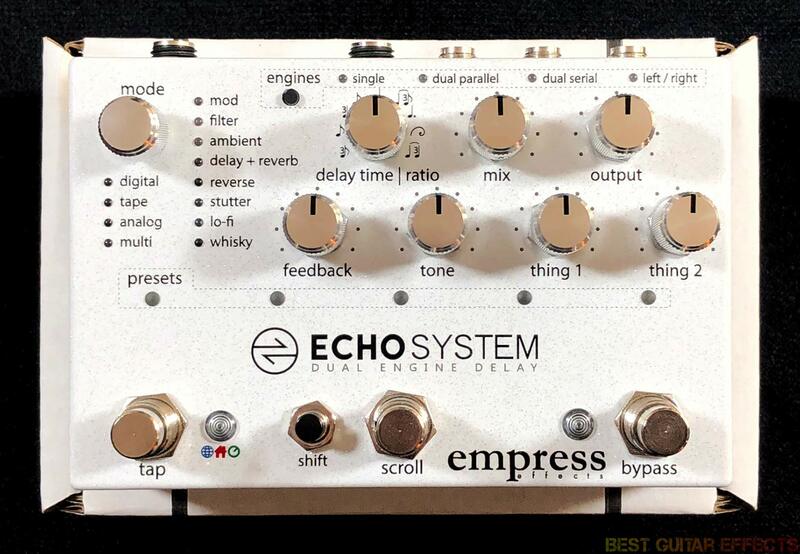 Congratulations to Jason A. who won the epic Walrus Audio Bellwether! Thanks for the awesome pic, Jason! Congratulations Thibaut R. for winning this absolutely beautiful compressor pedal. The the PC-2A! 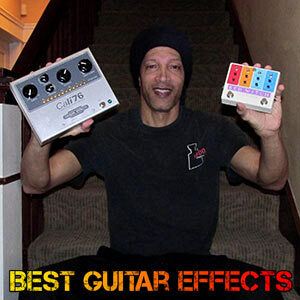 Congrats to Butch C. who won the epic Cali76-G-P, probably the rarest and most epic pedal we’ve given away to date. Enjoy this treasure, Butch! And thanks for the photo! Congrats to Dave V. who won this monster of a fuzz pedal. Make some noise! Thanks for the photo, Dave! Congratulations to Brendan S. who won the hypnotic Spectre and sent us this rad photo. Hope your keys are loving this pedal! Congratulations to Adam T. who won the gorgeous sounding DryBell Vibe Machine V-1! Congratulations to Carlos D. who won this rare prototype of the Cali76-G. Thanks, Carlos, for sending this awesome photo! Yes, this pedal will turn your world upside down! Congrats to Craig G. who won the awesome Keeley Compressor Pro! Thanks, Craig, for sending us this cool photo! Nice guitar collection in the background! Congrats to Rémi S. who won the epic Keeley GC-2 Limiting Amplifier! Congrats to Gereon S. who won the classic Keeley 4-Knob Compressor! 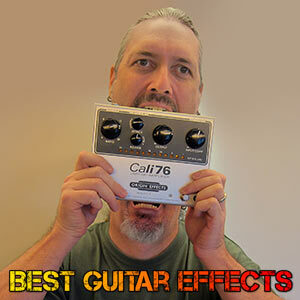 Congrats to Neil J. who won the ultimate Origin Effects Cali76-CD compact comp! 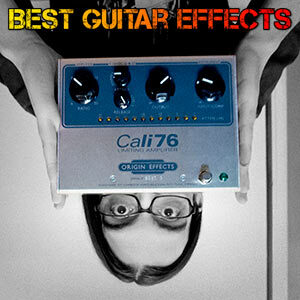 Congrats to Jase G. who won the inspiring Origin Effects Cali76-C! Congrats to Danty V. who won the Chase Bliss Audio Warped Vinyl MKII #5! This lucky guy also recently won a giveaway elsewhere. Ask him to pick your lottery numbers. Thanks for the photo, Danty! Congratulations to John B. who won the Chase Bliss Audio Wombtone MKII #5. Enjoy the awesome phasery goodness! Congrats to Michael T. who won the Chase Bliss Audio Gravitas #5! Rock the ultimate analog tremolo pedal! Congrats to Mark W. who won the EHX Soul Food and also received a bigger surprise. 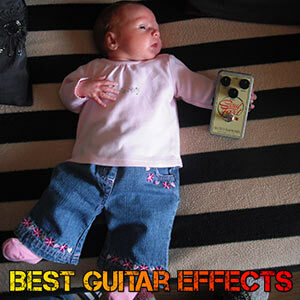 Mark sent us this photo of his newborn baby, Zara, who was born around the time he received his pedal. There was no giveaway for April 2015. 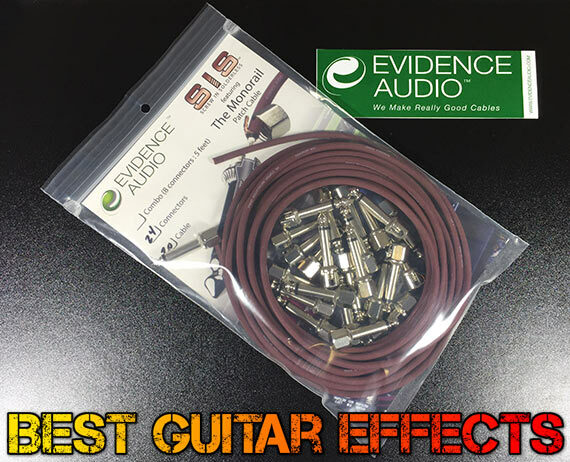 Congratulations to Andrew R. who won the Evidence Audio 24-Plug Cable Kit. May his pedalboard rock more than ever now. 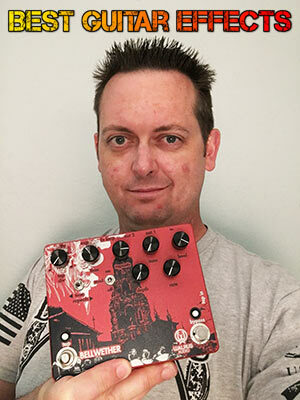 Congratulations again to Rodger R., aka the luckiest guy ever, who won the Origin Effects Cali76-TX! This is the second time Rodger has won a pedal. Thanks to Rodger for sending this photo of him with BOTH pedals he’s won. Congratulations to Neil M. who scored the epic Origin Effects Cali76-STD! Thanks for sending over this rad photo! Not only are the Cali76 tones quite an earful but quite a mouthful as well apparently!